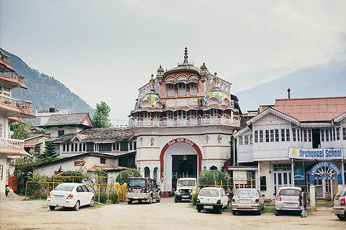 The Sultanpur Palace is one of the major tourist attractions in Kullu and houses some beautiful miniature paintings made in a marvelous blend of Pahari and colonial style based on different themes. These paintings show the simple rural backgrounds of the local people of Kullu & Manali with human figures in them. This palace was formerly called the Rupi Palace, which was damaged in an earthquake and was later reconstructed through its remnants. The palace is also a residence of the erstwhile rulers of the Kullu Valley.